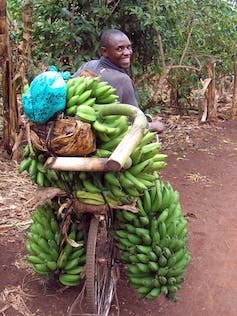 A Ugandan farmer transports bananas to market. 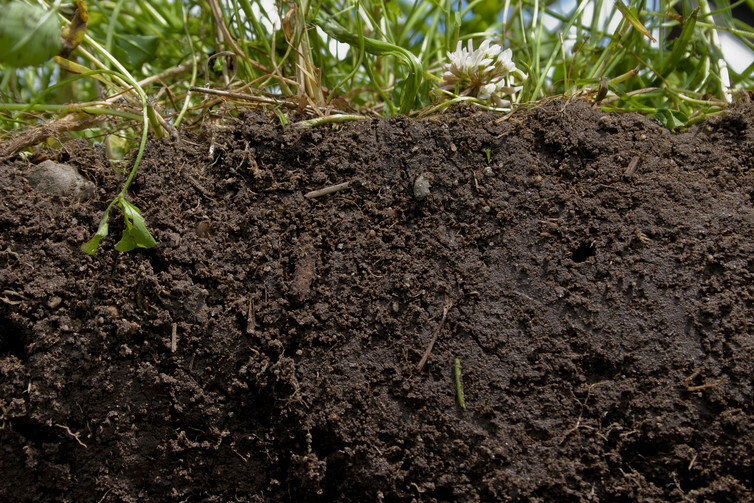 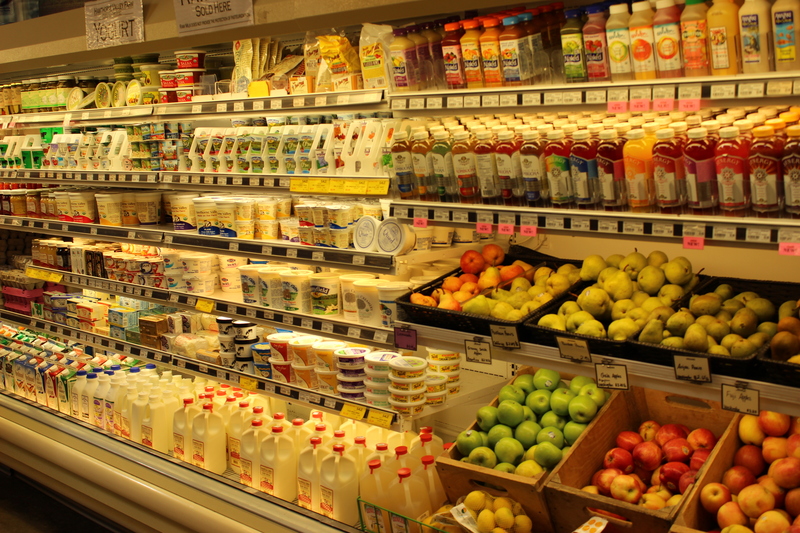 Most food consumed in the developing world is grown on small family farms. 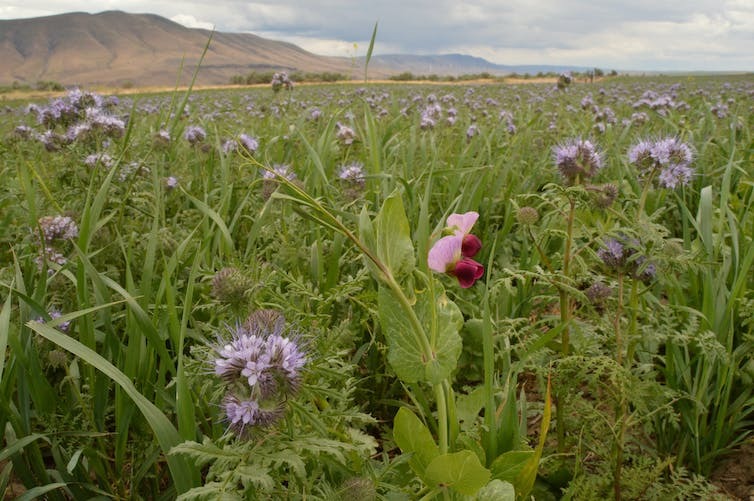 Cover crops planted on wheat fields in The Dalles, Oregon.